The SEP IRA is a retirement plan designed to benefit self employed individuals and small business owners. Sole proprietorships, S and C corporations, partnerships and LLCs qualify. The 2018 SEP IRA contribution limit is $55,000 and the 2019 SEP IRA contribution limit is $56,000. Contributions to a SEP IRA are generally 100% tax deductible and investment earnings in a SEP IRA grow taxed deferred. Withdrawals after age 59 ½ are taxed as ordinary income. Withdrawals prior to age 59 ½ may incur a 10% IRS penalty as well as income taxes. A SEP IRA has broad appeal due to its high annual contribution limits, completely discretionary and flexible annual contributions and minimal administration. SEP IRA plans can be established by a one person business or by a business owner with employees. Most frequently a SEP IRA is established by a business owner without employees and is discussed in detail below. In special situations a SEP IRA may be an ideal retirement plan for a business owner with employees. Learn more here. The calculation of how much can be contributed to a SEP IRA is dependent on whether your business is a corporation and you receive a W-2 as compensation or if you are taxed as a sole proprietorship and receive compensation as personal income. Examples of both are shown below. An S or C corporation, an incorporated partnership or a LLC electing to be taxed as a corporation pays the business owner a W-2 salary. In this situation, the annual SEP IRA contribution can be between 0% to 25% of the owner's W-2 salary up to the SEP IRA contribution limit. SEP IRA contributions are generally 100% tax deductible as a business expense. When a SEP IRA is established for a unincorporated business such as a sole proprietorship, unincorporated partnership or a LLC electing to be taxed as a sole proprietorship, annual contributions are made into your SEP IRA account between 0 to 20% of your net adjusted self employment income (or net adjusted business profits). SEP contributions are flexible and the percentage of contribution can be changed at any time and may be skipped in a bad year. SEP IRA contributions are generally 100% tax deductible from personal income. Calculating net adjusted self employment income. Net adjusted self employment income is calculated by taking gross self employment income and then subtracting business expenses and then subtracting 1/2 of the self employment tax. An annual SEP IRA contribution can be made between 0% to 20% of that figure up to the annual SEP IRA contribution limit. SEP IRA contributions are flexible and the percentage of contribution can be changed at any time. SEP IRA contributions are generally 100% tax deductible from personal income. To determine how much you can contribute to a SEP IRA based on your income use the interactive SEP IRA calculator. NOTE: Consider a defined benefit plan as an alternative to a SEP IRA if you are self employed and would like to contribute more than the 2019 SEP IRA contribution limit of $56,000. Contributions to a defined benefit plan are dependent on an individual’s age and income, but can potentially be $60,000 to $200,000 or more a year. We provide more information about them on our website www.definedbenefitplan.com. When is the SEP IRA setup and contribution deadline? Generally a SEP must be established and funded by your tax filing deadline. Generally, filing extensions extends the period for establishing and funding the SEP plan. For a sole proprietor April 15th would be the deadline to establish and fund a SEP for the prior tax year. If an extension was filed a sole proprietor can establish and fund a SEP IRA by October 15th. A self employed business owner with no full time employees other than a spouse may also want to consider an Individual 401k as well as a SEP IRA. A SEP IRA allows a contribution of up to 20% of net self employment income or 25% of W-2 wages, but an Individual 401k frequently permits a larger contribution at the same income level and may allow a greater contribution. Another feature of an Individual 401k versus a SEP IRA is an Individual 401k permits a loan up to 50% of the value of the account up to a maximum of $50,000. SEP IRA versus Individual 401k: Which self employed retirement plan is better for you? Compare the features of the SEP IRA vs Individual 401k and determine which retirement plan is more appropriate for you. 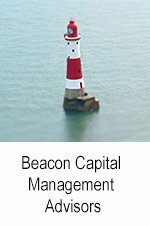 Beacon Capital Management Advisors provides retirement plans to the self employed, freelancers, entrepreneurs, independent contractors and small business owners and is registered in all 50 States. Securities offered through Cantella & Co. Inc., Member FINRA/SIPC. FINRA’s BrokerCheck. Beacon Capital Management Advisors is registered in all 50 States and is a branch office of Cantella and Co. Inc.
© 2018 Beacon Capital Management Advisors. All rights reserved.